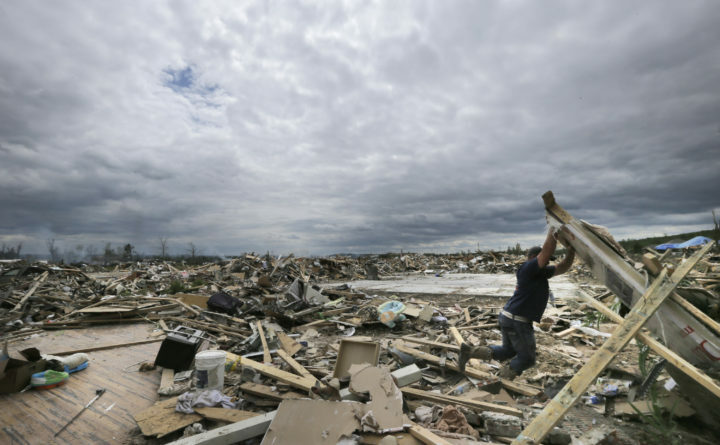 Dustin Shaw lifts debris as he searches through what is left of his sister's house at Parkwood Meadows neighborhood after a tornado in Vilonia, Arkansas, April 30, 2014. A new study finds that tornado activity is generally shifting eastward to areas just east of the Mississippi River that are more vulnerable such as Mississippi, Arkansas and Tennessee. And it's going down in Oklahoma, Kansas and Texas.